So Kaladesh is arriving this weekend, and here’s a piece of advice that has never ever failed me: Trade everything away this week. Someone wants that foil uncommon. Someone is dying to be the first one to play with that sweet rare you opened. Someone’s willing to trade you $4 in value for that booster pack. Don’t be the one trading for Kaladesh this weekend. Trade it away. Demand is at its highest and supply is super small. This weekend, and this weekend only, scoop up leftover uncommons and commons, and send them out on Puca. I agree with a lot of you that my trade velocity has gone down, but I think the Inventions are going to cause a lot of movement. Zendikar Expeditions led to a lot of points flying around, and I think we are in for another wild ride. I’ve certainly got a few on my wishlist, and I’m not the only one. I see most bonuses in the 10-20% range, and I wouldn’t fault you if you went higher. 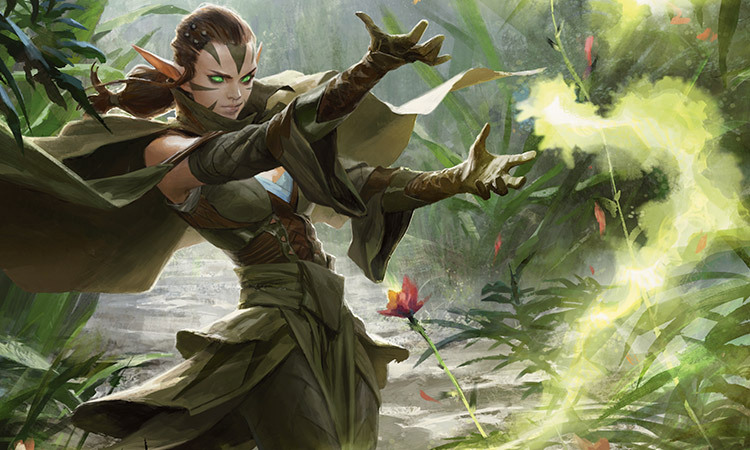 This week, I want to talk Oath of the Gatewatch, along with a few early Kaladesh impressions. How is Pucatrade doing these days? I don’t think I’ve been sent a card in 3 or 4 weeks. I hope that once the new site settles down trading will pick up again. It was hardly encouraging to see that the most-traded cards were full-art lands from BFZ! As I said before an article on how to actually receive non bulk cards would be more helpful here, as bounties and a diverse want list have clearly not helped. That being said, I agree with the advice of trading everything away, but I’d check traditional channels first (aka Deckbox and other trading sites) before Pucatrade due to the problems there. Oh, and I’d put more emphasis on EMN and SOI, as they are at peak supply and have much longer Standard life there. The OGW set advice is helpful though. Again? I haven’t received a card on pucatrade in almost 2 months, I complained last week, I even added your suggestions to my want list, ( I thought it was just me) still no trades, I’ll let you know how it’s going next week. Just pretend the title of this article series is “cards you should be trading for…not necessarily on pucatrade”. Then you won’t have to complain every week and you can just enjoy the read and the insights. I, myself, have completely quit using Puca until they fix the deplorable mobile site. I sent an angry email and received assurance that they would be working on it … a month later I still can’t even navigate the site. I sent and received 2 million points worth of cards last year which was also my very first year of collecting/playing mtg. Hopefully they pull their heads out and get this thing fixed because my minuscule kitchen table Magic lifestyle by no means requires the type of collection that I have acquired.